B and C Collection B&C Men’s Monster Hooded Sweatshirt versatile and comfortable hooded sweatshirts that will keep you warm all year round. 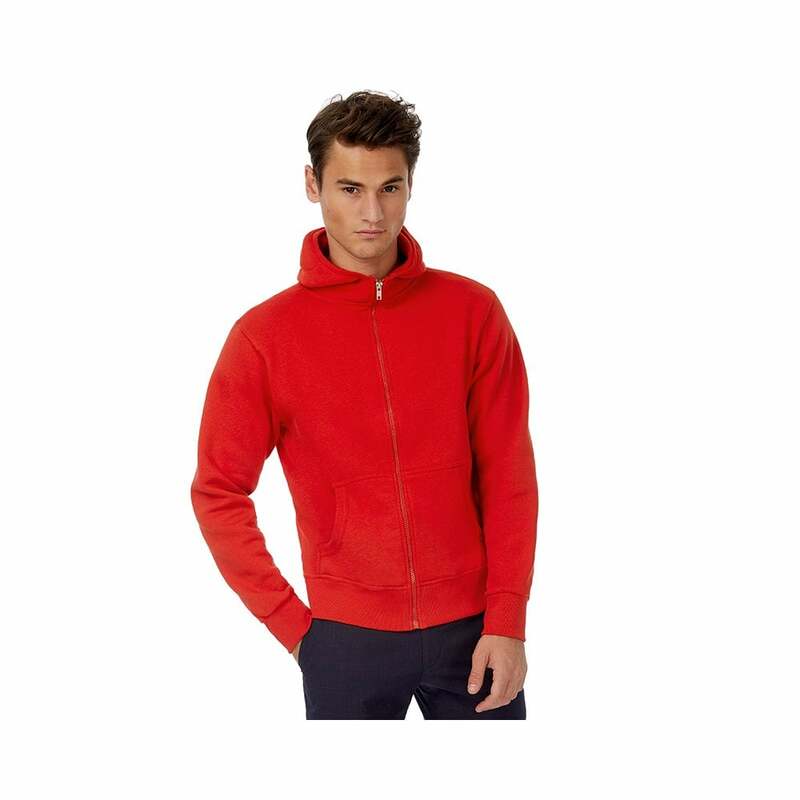 The fabric of this sweatshirt is 80% combed cotton and 20% polyester and has the following features full length zip, set in sleeves and fleece brushed lining. There are 5 classic colours to choose from, red and navy being popular. Sizes start at small and go up to 3 extra-large. S - 36/38", M - 38/40", L - 41/42", XL - 43/44", XXL - 45/47" , 3XL - 47/49"